The biggest potential tax bonus for small business in the 2019 Federal Budget was the announcement that the instant asset write-off had been increased and offered to more businesses. The instant asset write-off threshold for small businesses (with an aggregated turnover of less than $10m) will be increased to $30,000 for eligible assets that are first used, or installed ready for use, from 7.30 pm (AEDT) on 2 April 2019 (Budget night). The extension is until 30 June 2020 – but qualifying businesses have between now and 30 June 2019 to purchase and fully deduct eligible assets up to the $30,000 threshold in this tax year. This could be mean office equipment, machinery and even motor vehicles can potentially be upgraded between now and 30 June 2019 and be 100% tax deductible. The original threshold of $20,000 already had been increased to $25,000 from 29 January 2019 for businesses with turnover up to $10m. But from Budget night, the new $30,000 immediate write-off threshold applied to all businesses with an aggregated turnover up to $50m. To claim the write-off, items purchased must be first used or installed ready for use by the appropriate cut off date – either 30 June 2019 or 30 June 2020. The new qualifiers, medium sized businesses (with aggregated annual turnover of $10m or more, but less than $50m) only qualify from Budget night. The current rules general rules regarding accelerated depreciation for small businesses will remain in place. Therefore, assets that cannot be immediately deducted will need to be pooled and depreciated at an initial rate of 15% in the first year and 30% in each subsequent year. However, small business depreciation pools valued under the instant asset write-off threshold at the end of the income year can be immediately deducted. 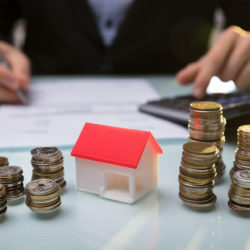 The current “lock out” laws for simplified depreciation rules, which prevent small businesses from re-entering the pooling rules for five years if they opt out, will continue to be suspended until 30 June 2020. Medium sized businesses do not have access to the small business pooling rules and will instead continue to depreciate assets costing $30,000 or more (which cannot be immediately deducted) in accordance with the existing depreciating asset provisions in the tax law. Overall, it’s good news and a great tax planning opportunity that you should discuss with your accountant between now and 30 June as part of your annual business review. At Affinitas, it has never been our goal for clients to be merely satisfied with our service. We want them to be AMAZED with what we offer, BLOWN AWAY with how we offer it and RAVING FANS of the overall experience of being an Affinitas client. To underline our commitment to this ethos, Affinitas has appointed a Client Service Champion. Affinitas Accounting partner Tanya du Preez has been appointed to this role. Tanya is a trained and qualified accountant, but her day-to-day speciality is finance rather than working in the tax team. Sitting outside the tax/accounting team puts Tanya in an ideal position to give clients an outlet to discuss their experience as an Affinitas client. Tanya sees her role as being responsible for making sure the Affinitas team delivers more than just professional advice and timely service. “We believe you also deserve an amazing experience as part of the package in dealing with us,” Tanya says. Ensuring clients are aware of the full range of services that Affinitas offers, and accessing the ones they need, will also be an important part of Tanya’s role as our Client Services champion. Affinitas clients – old and new – will all receive a welcome letter from Tanya to officially introduce herself in her new role. There will be structured feedback opportunities, such as surveys, provided at the conclusion of various services to give clients an opportunity to provide feedback on their experience. or by phoning the office on (07) 3359 5244. For urgent calls, Tanya can be reached on 0430 383 996. How Does Depreciation Add Value To A Rental Property? Professionally prepared depreciation schedules are one of the keys to getting the best from your investment property tax benefits. Many clients initially baulk when we suggest they spend the money to get a depreciation report prepared – but in most cases they pay for themselves many times over during the life of your investment property, because of the extra deductions they allow. And importantly, they are deductions that do not require any extra cashflow once the report is prepared. 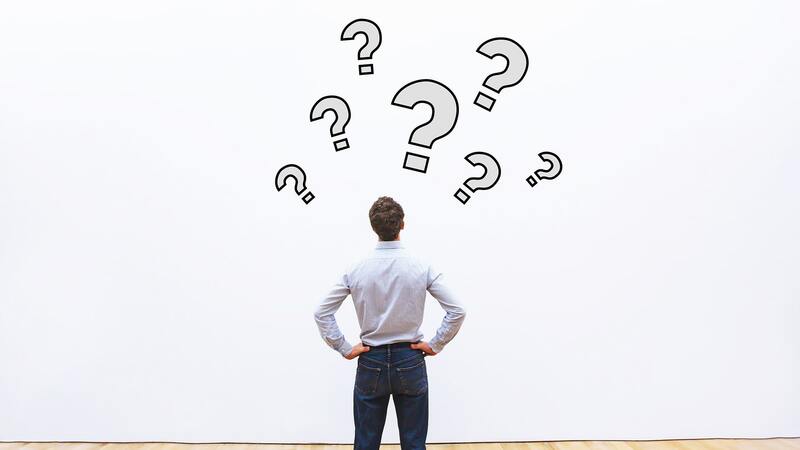 The following are some of the most frequently asked depreciation questions – answered by the experts at BMT Tax Depreciation. As a building gets older and items within it wear out, they lose value. The Australian Taxation Office (ATO) allows property investors to claim a deduction relating to the building and fixtures it contains. 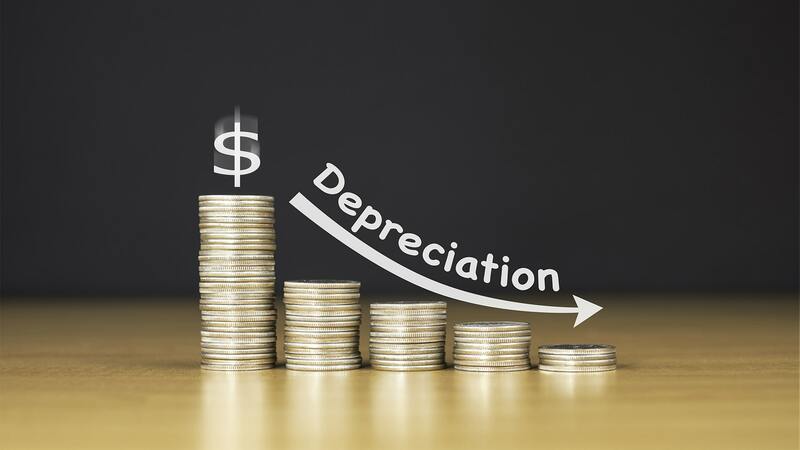 Depreciation can be claimed by any owner of an income producing property. This deduction essentially reduces the investment property owner’s taxable income. 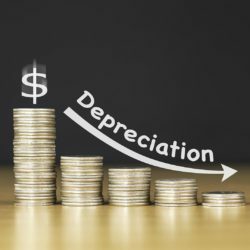 A depreciation schedule is a comprehensive report that outlines the depreciation deductions claimable by investment property owners on the property’s building structure and its fixtures and fittings within it. A depreciation schedule, prepared by a specialist Quantity Surveying firm, is one of the best ways that you can maximise the cash return from your investment property each financial year. No, investment properties do not have to be new. Both new and old properties will attract some depreciation deductions. It is a common myth that older properties will attract no claim. Previous year’s tax returns also can be adjusted. 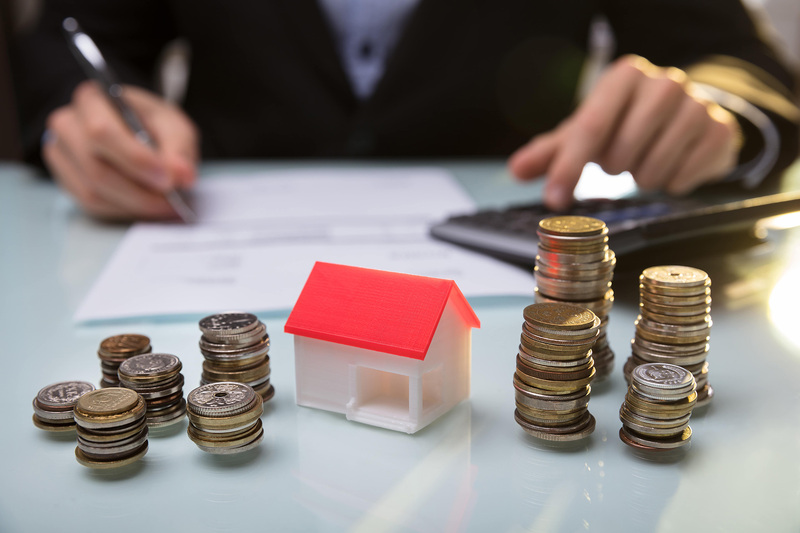 If a property owner has not maximised their depreciation deductions, the ATO allows investors to adjust the previous two financial years tax returns. The age of the building can be determined by obtaining council documents with dates pertaining to the original application approval date or the occupancy certificate date and final inspection date. A quantity surveyor will conduct the relevant searches to accurately determine the age of a building. This includes historical council searches regarding lodged development applications, as well as occupancy certificates and certified final inspections. Plant and equipment (division 40) assets are items that can be ‘easily’ removed from the property, as opposed to items that are permanently fixed to the structure of the building. Plant and equipment assets also include electronically or mechanically operated items, even though they may be fixed to the structure of the building. Why does the depreciation schedule last 40 years? The ATO has determined that any building eligible to claim the building write-off allowance has a maximum effective life of 40 years from the date construction was completed. The owner can generally claim up to forty years depreciation on a brand new building, whereas the balance of the 40 year period is claimable on an older property. 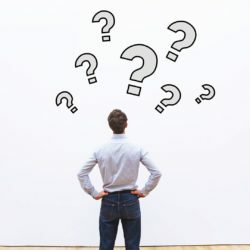 Can the building owner claim renovations that were completed by a previous owner? Yes. Anything in the property that is part of a previous renovation will be estimated by Quantity Surveyors and deductions calculated accordingly. This includes items which may not be so obvious, for example, new plumbing, waterproofing and electrical wiring. For capital works improvements to qualify for the division 43 building write-off, they must have commenced construction within the qualifying dates. Once a professional Quantity Surveying Firm, such as BMT, have collected all of the details needed, it usually takes between five – seven days for our team to prepare a schedule. A professional quantity surveyor should inspect all properties that a tax depreciation schedule is to be completed on. This ensures that all assets are identified and depreciation deductions maximised. This also ensures schedules are fully compliant with the guidelines set out by the Australian Institute of Quantity Surveyors (AIQS), the Royal Institute of Chartered Surveyors (RICS) and, importantly, are ATO compliant. Professional Quantity Surveyors will work with your accountant to ensure that your depreciation claim is maximised each financial year for your investment property. The ATO has stated that Quantity Surveyors are one of the only recognised professions with the appropriate construction costing skills to estimate construction costs for depreciation purposes. Quantity Surveyors are qualified under the tax ruling TR97/25 to estimate construction costs for depreciation purposes and are one of a few select professionals who specialise in providing depreciation schedules. What happens when renovations are undertaken after the report is finished? If you make additions to the property after you receive your depreciation schedule, your depreciation schedule can be updated – either free or usually at a discounted price for any changes. Source: Beer, Bradley (B Con Mgt, AAIQS, MRICS, AVAA), CEO BMT Tax Depreciation. Learn more about rental property investing courtesy of Affinitas here. Who Are Total Water Services? Brad: As part of our ongoing series chatting with Affinitas clients, we have the pleasure this morning of talking to the senior management team from Total Water Services. Total Water Services is a diverse and quite a large plumbing, and water reticulation business based in Hillcrest in Brisbane, and this morning, we’ve got the three directors with us, Darren, Peter and Craig. Welcome, boys. Brad: As I mentioned in the introduction, you have some specific areas of expertise and different income streams in the business. Darren, can you tell us a little bit about the area of specialty that you look after? Darren: In my past, working career, I’ve worked for a lot of major pump manufacturers. I’ve learnt a lot of pumping and stuff, so we pushed a lot into that area. But I also spent a lot of time with the commercial nurseries in the market. And we specialize in disinfection and different parts of that market. Brad: And that’s a growing part of business in certain parts of South Brisbane? Darren: It has been in the last 5 years, and in the last 5 years it’s grown quite quickly. Mainly because of the amount of developments that have gone through South East Queensland at the moment. So the plant requirement is going through the roof, so obviously the nurseries have grown with it. Brad: Peter, you look after the really big projects, the quoting and running of those projects. How does that area work? Peter: We do all these larger projects, we do all the irrigation, we do plumbing and drainage works, so that’s an immense amount of time, and high value of course which is good for the business in the long term. Brad: And Craig, you’re involved heavily in the service side of the business. How has that been going and growing for you? Craig: In the past 11 years, since we’ve started, we’ve focused on servicing the customer, hence the name Total Water Services. But we’ve also broadened our scope by looking at the service side, by assisting the local plumbing network. That’s around Brisbane, Gulf coast and North coast areas. We specialize in servicing sewer, storm water and portable pump water stations. Which gives us, pretty much a broad scope throughout the city and metro areas. We also service right down to the small domestic services. Craig: So, in the past years, we have found it quite fruitful. We now have a great range of family clientele. And we’re also specializing in pump modifications, so full we fit programs as well as going into mild factory based work. And offering solutions in not only water, but in chemical and other emulsion. Brad: So, yeah as we can see there, you’ve got three very distinct areas of expertise and income strings there. But on top of that you also run the store here out of Hillcrest, and that’s a supply store to the plumbing industry. And that’s been growing over the past few years as well. Craig: It’s been a long time in the making, our biggest hurdle that we had … was getting our clientele to know that we actually existed. We embarked on many different advertising campaigns; word of mouth in the very beginning was a very strong arm for us, and now what we find is the flow through traffic for the store is actually quite good … but this store was actually designed by the customer for the customer. Craig: So we took the input of our local clients, we took the input of local businesses that required equipment … and we basically formed and stocked the store to suit. Brad: And you finding a lot of businesses here? Craig: Yes, a lot of repeat business. Especially now that we in the 11th, well the 12th year now. We finding now repeat business is actually quite good. But the bigger thing is the actual new business. Brad: So, when we first met you, we were online tax and now we are Affinitas … you were already in business and running a business. So the decision to change accountants was an important one, and not an easy one to make. How did you find us, and how were you able to feel comfortable about making the decision to change accounting firms? Darren: It’s really a word of mouth thing that … another supplier that we dealt with in the past, and he said, “Hey these guys are pretty good,” and we were looking for someone at the time. We found that our account at that stage wasn’t quite up to the market of our size business. We were growing beyond his capabilities, in our own opinion, so we thought we needed someone who had a little bit more expertise. And you so definitely fitted the bill of that. Brad: At the end of the day, you had to hear our pitch as accounting firms; what we offered … and then decide just exactly what you wanted to do as far as changing accounting firms. So what was the thing that tipped you over the edge to say “Yes we will change accounting firms”? Craig: Diversity! Diversity was the key. We’re always under the belief that we could … well stepping back we went back, we had multiple different agents helping us out through our business type. And what we found, and the three of us, were under the belief that we could tie our legal services, our accountancy services, our brokerage services; under one banner. Which was a single point of contact and at that point in time when we were searching, we came across this personal supplier that said “Hey, look, give this Brad a ring”. And that’s how it actually started, and the whole reason that we really wanted to move on, again like Darren said, we had quite an extensive growth rate, and we were finding it hard to manage. Craig: Because we specialize in what we do. But we are not accountants, we’re not a legal team, and we’re not real estate agents. So, we needed to acquire the services, but we wanted to do it in one banner. And that’s where the key for Affinitas or pre on one actually started. Brad: How have you found the communication between us as accountants, and you as business owners, has worked in your favor over the years? Peter: It has been very good actually. Particularly with the people in your office, and our own admin people. They formed good relationships, and they actually talk to each other more than we even know, which is good, because they give us [inaudible 00:06:57]. Brad: A broader question Peter, what do you see as the future of the plumbing industry, in South East Queensland? Peter: I think, there’s definitely a future. And for us, we’re only 12 years old. We’re in that twelfth year, so I see a lot of growth yet to come. We’re in a few different industries, but they all sort of relate back to plumbing. But our focus is probably the irrigation pumping. The plumbing just happen to tag along with us. We have a shop, we have a lot of plumbers come in and purchase products, so we’re able to give them that expertise. Peter: So that’s side of it is growing. Brad: As long term business owners yourselves, how would you advise other plumbing firms to choose the right kind of accounting firm for their needs? Darren: You do need a company that will actually look after you, so that they can look after that part of the business. You find that people within our industry of plumbing and irrigation as well, is that we really don’t know much about accounting. We can work at offloading, we can do our sales, we can do our design. But that back end of the business, which is obviously the most important part of the business, we don’t have a lot of knowledge on that. So you need to instigate someone that has it. Brad: And I think one of the important things that we do, is when we have our annual meetings; we look at explaining the numbers to all three of you, and give you options of how tax planning and cash flows might work. And I think you found that a very valuable service. Craig: It’s a key thing, that the forward thought has really helped our business … to a point where, even though we hit a couple of stumbling stones, we have the ability to acquire the premises, which has really helped our business behind the scenes as well. So, getting back to it, we need a team who has the ability to take us from not only basic accountancy, start a relationship, but to cover all facets. Brad: Thank you very much boys! It’s been a pleasure chatting to you officially, as part of our series. And I know the three of you are very busy, so you need to get out and go to work, so thank you very much for being involved. And we look forward to bigger and better things. Find out more about how Affinitas can help your plumbing business here. New laws introducing penalties, including imprisonment up to 12 months, for non-compliance of superannuation guarantee obligations have been passed. Earlier this month, Jotham Lian, in the Accountants Daily newsletter, reported that new legislation now allows the ATO commissioner to issue a direction to an employer to pay an outstanding super guarantee liability. Failure to comply with this direction can result in criminal penalties. The maximum penalty for the offence is 50 penalty units, imprisonment for 12 months, or both. Plus, employers who receive direction from the commissioner must complete an approved education course. The new legislation is awaiting Royal Assent, with the legislation to take effect from 1 April 2019, but will apply to SGC obligations arising from 1 July 2018. This makes it vitally important that FROM NOW all directors, each quarter, ensure their business superannuation obligations have been accurately calculated and are paid on time. And if your accountant is not involved in calculating your super obligations, then it may be worthwhile having a conversation with them to ensure your super compliance systems are in order. Your accountant may be able to suggest solutions, like introducing a single touch payroll, to ease the compliance burden. Accountants Daily RSM senior manager Tracey Dunn was reported in Lian’s article as saying that the new law might catch out small to medium-sized family businesses where a spouse or family member may be appointed as director without fully understanding their obligations regarding super payments. “Obviously the criminal penalties will only apply to serious cases, but unfortunately in a lot of small businesses super guarantee payment are the first thing that goes (unpaid) and they are quite often behind because of cashflow issues so there will be a higher risk,” Ms Dunn said. “For example, a husband runs a business and he is the brains of the business but the wife will be put in a position where she is a director. The accountant may discuss the director obligations with the husband but then rely on the husband to relay that to the wife and she may not ever fully understand what her risk is. Ms Dunn said she believed accountants had an important role to play in helping clients their clients understand the new risks. “Accountants and advisers really need to ensure that when their clients employ staff, they are fully aware of the risk of non-compliance with super guarantee obligations,” she said. Latest data from the ATO estimates unpaid super guarantee at $2.79 billion and these measures are a clear indication the Government is extremely serious about ensuring all employees receive their superannuation entitlements. ; Accountants Daily, 1 March 2019. As your business grows, one of the most important areas will be your accounting and finance team. Although hiring an in-house accountant is a common choice, it may not be the best option for your company. This is especially true when you consider that technology now allows many tasks to be done remotely, at any time and any place. Let’s look at a scenario where a company is considering, via a recruitment agency, hiring a young accounting graduate, with 2-3 years of experience, for $50,000 per year base salary. But what is the real cost of that employee? The table below discusses the many additional costs associated with an in-house employee. As you can see, hiring an in-house employee for your company can cost you up to $30,000 more per year above the base salary. Plus there are all the workplace health & safety and HR aspects of managing employees. By outsourcing, all you pay for is the work—nothing else. And ask yourself – would outsourcing the work cost you as much as $80,000? It is at least worth considering outsourcing as an alternative. If accounting is not your core business, what happens when your ideal young accountant decides to leave? Do you stop working on the core activities of your business to recruit and then train a new young accountant? It may take weeks (or even months) to hire someone else and you will have to train them. What sort of effect is this going to have on your operations? How long is it going to take your new employee to be as competent in their role and familiar with your clients as their predecessor? 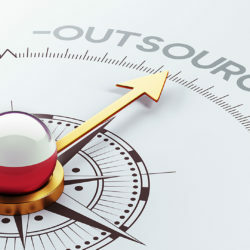 By outsourcing, the burden moves from you to the contractor. 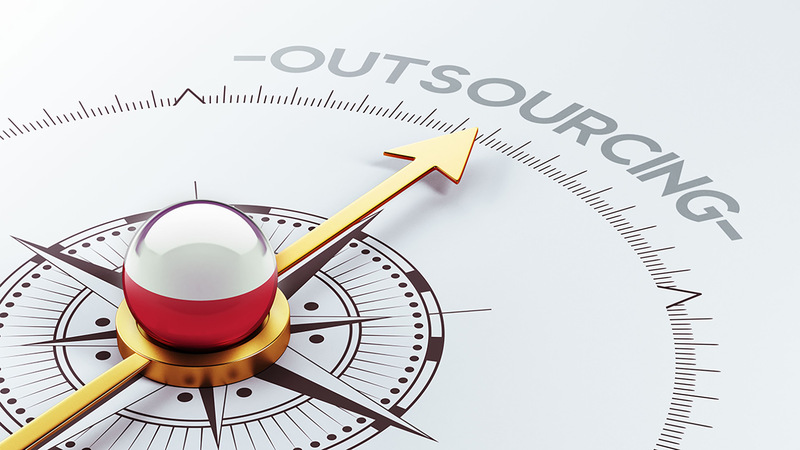 The majority of outsourcing companies will have more than one employee working on your job. So, if one of their employees quits, they have others who are equally as comfortable with your needs to fill in and take their place. Their work papers and other systems will ensure the knowledge of your company’s needs will not disappear with a departing employee. Let’s say you are lucky enough to keep an employee with you for 10-plus years. Sounds great, right? Maybe not. Although you have avoided employee turnover, you’ve potentially created an entirely different problem. The accounting employee who has stayed in the same job for more than decade, will almost certainly have a very set way of doing things. And because accounting is not your core business, they receive no exposure to the way technology and processes have evolved – and thus your business might be missing out on the positive effect these changes could have to your bottom line. By not keeping up with a forever-evolving business world, you may sacrifice your company’s ability to remain competitive. Any worthwhile specialist contractor will see a wide array of businesses and stay up-to-date in their field through continuing education and conferences. While a good accounting and finance team is essential to the long term health of any successful business, technology has provided many options for how these services can be implemented into your business. If you are considering, or have always chosen, the traditional route of employing these skills directly, at least stop to consider the real costs and ongoing effectiveness of the direct employment versus outsourcing options. There could be savings and other efficiencies just waiting for your bottom line. To chat about outsourcing with us, just get in touch. 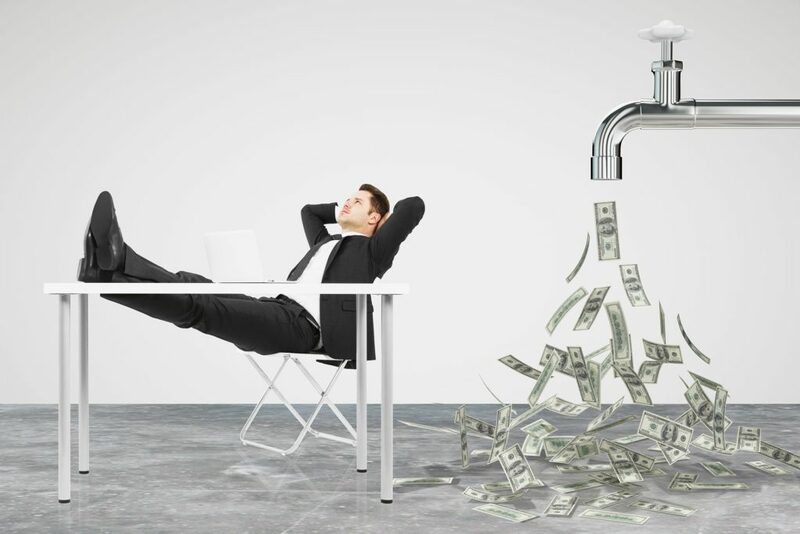 You can set up your plumbing business, get the marketing going, and be managing cashflow well… but why? Why did you set up your own business, rather than work for someone else on wages? Are you achieving (or are you on track to achieve) the expected benefits of being a business owner? The following are some tips to help you focus in the right areas and build a business and a lifestyle that is sustainable for the long term. Running a small business is a journey taken by the whole family even if they’re not working directly in the business. What do we want to achieve financially? What are our sport/recreational priorities? Do we want to work towards a fun goal (eg trip, new pool etc) as a family? What would happen to our plans if one of us gets badly injured or worse? When everyone has a say, they are likely to buy into the differences and sacrifices that have to be made along the way – like Dad or Mum sometimes having to work late into the night or on weekends. Never underestimate the tremendous value of having a supportive family unit behind your business. No one wants to live and die behind a desk or on-site. Work never stops – but people will if they overload themselves. You want to watch the revenue of your plumbing business grow but not at the expense of watching your children grow. Those who are passionate about what they do need to guard against work becoming their life. Priorities can easily get skewed. As a business owner, you must define a reasonable amount of time for you to spend working. Otherwise, you’re going to miss a lot of important moments. Think about the type of life you want, talk to your spouse about what they consider a reasonable work week, and set a limit for yourself. Then stick to it. Unless you always want to be a one-person business, you will need to transition from worker bee to business developer. As a leader, you need to lead but also pick when to get your hands dirty and directly support your team on the tools. There are plenty of times when you will work late when you should be home enjoying time with family. Good employees will see this dedication and often ask if they can share the load. However, it’s equally important to show your team that it is okay to go home early some nights. If you employ the right people, you should be able to allocate the work, communicate the outcomes required, and not need to micromanage. The need to micromanage is a sign that either you have employed the wrong people or that you have trouble letting go and trusting your team. It is almost impossible to grow your business in a micromanaged environment. You need to define and find guilt free hours for yourself, your partner, family and friends. No point having time away from work if you are not getting a complete break, both physically and mentally. As a business owner, you also need to find guilt free hours to spend on business development. This might be a time when you are sitting in air conditioning at the office or at home while your teams are out on the tools. If you start feeling guilt about this you are thinking like a worker – not a business owner. Do not feel guilty about sitting alone at your desk, or somewhere else where you do your best thinking. These quiet hours will help you delve into big ideas and organize your thoughts. Time is the original non-renewable resource — we never have enough of it. Sometimes you can feel almost paralyzed by competing priorities. You will never have enough time to do all of the things you need (or want) to do. Lowering expectations of what your achieve in a day/week/month or year can free a lot of stress. Make peace with the fact that you will never be 100 percent in all aspects of our life. Aim for progress, rather than perfection and it will help you to move forward with the right mindset. If carving out three hours free of distractions to explore an innovative new idea is not be possible, then start with what is possible and work up from there. You will be surprised what you can achieve in an uninterrupted 30 minutes. The ultimate success will be when you own a profitable plumbing business that does not require your day-to-day input to keep it running. You should start by making yourself the business CEO, but then move to being the Chairman of the Board – someone who reviews performance and has input into strategic direction, but leaves the day-to-day operational matters to a skilled and trusted team. This process may take years, even decades, to achieve – but if you get it right you will no doubt be able to look back and put a tick next to all the why’s you identified when you started your plumbing business. 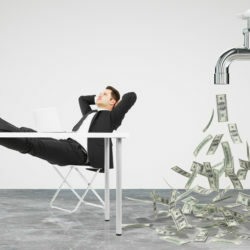 After you win the plumbing job and complete the work, you need to get paid in the most timely manner possible. And when you get paid, you need to know how much the business needs to function – and when it needs it. You need a system to monitor your cashflows. Start by looking at your trading terms and your aged receivables. This should show you how long, on average, it takes for you collect money owed to you. If your trading terms are 15 days and it’s taking you more that 30 to collect most debts, then something has to change. A professional accountant will be able to help you set up a system so you can identify the key numbers and review them regularly. For many, collecting outstanding debts is not a pleasant job. But there are some people with a personality type suited to this type of role. Debtor management needs to be done politely, but you need a firm person to contact those that are slow and ask them to pay as soon as possible. The person needs to be disciplined, relentless and able to set clear boundaries with the debtor, including agreeing on a date when the monies will be cleared so that they can be followed up either before or after this date. For problem payers (usually more than 90 days) it can be handy to have a relationship with an external debt collector who can take over the process if it needs to get legal. At a minimum, you should include bank account details on your invoice to allow people to direct debit the money. Many also will use merchant systems such as EFTPOS so that debit and credit cards can be accepted. Businesses that do not offer merchant facilities and ask for cash only will not only miss out on sales, but could also become a target of the tax office “cash economy” audits. 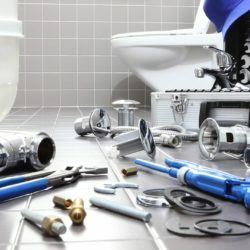 If you have just been called out after hours to fix a leaking toilet, the best time to get paid is immediately after the job is complete and the clients are happy – so don’t be afraid to ask for payment there and then. Performing a job early in the month and then sending the invoice out weeks later and offering terms should be absolutely avoided. Most invoicing systems nowadays can generate invoices from smart phones and tablets and then emailed on the spot. Smart plumbing businesses are embracing this technology so enjoying the fruits of being paid much more quickly. Cloud accounting systems such as Xero are low cost and make this process very simple. For larger jobs, be very careful about the terms you offer. For jobs that stretch for more than one or two weeks you should be considering a deposit of periodic payment plan. And any customer who wants credit should be prepared to have their credit record checked. If they refuse, then it should send alarm bells ringing. Better to walk away from a job offer than to work for a month and not get paid. You can do your homework through credit data companies and/or ask for trade references or even insist on cash on delivery until you establish a solid and trusted relationship. Usually a debt collection agency, if you use one, will offer credit check services for a relatively modest fee. Next week: The Big Picture for Your Plumbing Business – Do You Know What It is and Are You Planning For It? Once you’ve set yourself up with tools and tax structures you need to find customers so you can service and bill them efficiently. Plumbers, like any other business, must advertise and sell their services to those who may need them. But training as a plumber does not prepare you for putting together a marketing plan. Understanding your potential customers, where they source information and how they make decisions is vital. Once you know who your potential customers are, you can target your marketing towards them. Getting your marketing mix right can be a key to success. Getting it wrong can see a lot of money head down the drain. Online marketing is almost non-negotiable in today’s business world. In terms of potential reach and cost effectiveness it is almost unbeatable. In fact, most potential clients nowadays expect you to have an online presence – somewhere they can look you up, confirm your contact details, read about your business and, most importantly, read the reviews left by your customers. So once you make that leap, you will almost certainly need some help designing a website and making the most of your social media platforms such as Facebook, LinkedIn, Twitter, plus Google, Google Ads and Search Engine Optimisation (SEO). They not only need to be set up – but they need to be constantly updated and used to remain relevant and effective. If you decide to employ some marketing help, do your research and try to find a marketing firm that specialises in trade-related businesses. You can search for these online or ask your accountant for a referral. Researching the websites of similar businesses and taking note of the positive and negative features may help influence your website design. You have to start with the basics. Truck signage, work uniforms, business cards, letterheads and invoices should not only all carry details of your business, but say something ABOUT your business. You need to think about the message that you want to convey to your existing and customers. Do you have a logo? What are your corporate colours? Does your business name convey the right kind of message? Can people easily read your signage and remember your contact details? Then there’s the next level of options: direct mail campaigns, advertising signage and advertisements in printed and broadcast media. Some of these can be expensive, so it is often best to seek some advice on how best to coordinate your online and offline marketing options to produce the best result. It is far easier to gain a new customer who’s been referred to you by a satisfied customer than to convert someone who is a cold prospect. Whether it’s a satisfied customer ‘liking’ and ‘sharing’ your Facebook page, or giving your business card to a friend, referrals can happen in both worlds. You must make asking for, and marketing to, customer referrals a significant part of your overall marketing strategy. Online marketing is just one form of technology that will help drive your business. But if you are planning to run your business with a manual invoice book and a shoebox for receipts you will very quickly be left behind your competitors. There are many free or inexpensive apps that can be loaded onto your mobile phone or tablet that will help run your business more effectively and efficiently. You can also attached bookkeeping software, like Xero, to your business bank accounts. This provides an up-to-date snapshot of your financials and facilitates an efficient relationship with your admin and accountants. There are also websites and databases, like Hipages and Houzz, that are frequented by people interested in home renovation and will connect local tradies with potential customers. Others, like Airtasker, can be a source of connecting people who need jobs completed with those available to carry out the work. To find out more about how we can help your plumbing business, head to our dedicated plumbing page. Last week we touched briefly on topics that are important to the set up and ongoing success of a plumbing business. This week, we look more closely at the first two of these topics – Digging Into The Detail and Building Solid Foundations. Where do you want to head in the future? 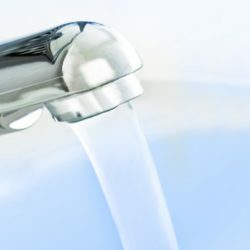 These are three key questions that need to be addressed very early with plumbing clients. As you could imagine, the needs of a young plumber setting up their first business out of his apprenticeship could be very different from an established business wanting to expand and bring in new partners. Getting to know you as business owners – your priorities, family situation and goals – is an important start. What type of plumbing business are you running or intending to run? Plumbing businesses are NOT all the same. 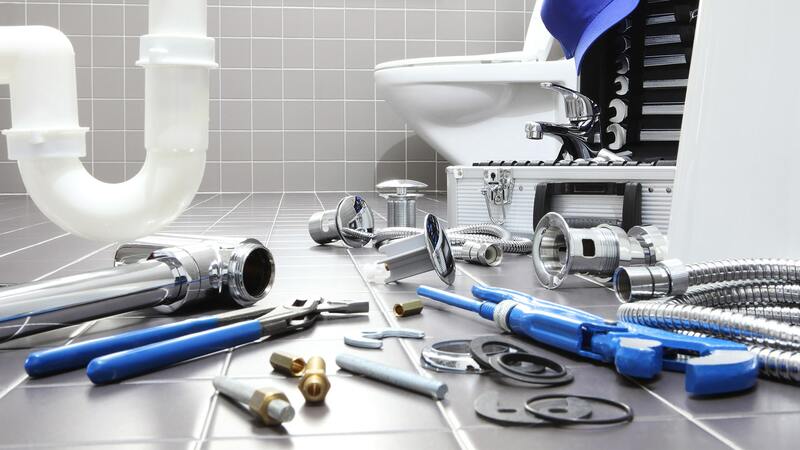 The size, scale and areas of expertise can vary greatly between different plumbing business. Some focus on home repairs, some on home building and others on large commercial contracts. What sort of working resources do you need? Are you intending to be a one person outfit, with one or two apprentices, or a large scale operation with admin staff and a team of sub-contractors. If you are a one person outfit, do you have a partner who is going to stay at home and do the bookwork? Is yours a generational family businesses with potential succession planning issues as older generations move towards retirement? Or are you in business with other unrelated people in some type of partnership/co-ownership arrangement. And what is your expectation of how your relationship with your accountant will work? Do you need just the basics, or do you want extra services to assist you to grow the business. Taking the time to understand the current set up and the plans for the future can help ensure best possible decisions are made regarding business structure and resources. Generally, the choice is between sole trader, partnership, trust or company. All of these set-ups have potential advantages and disadvantages in terms of tax, asset protection and sharing ownership. The key is to get the best solution for now, but with one eye on how your business may develop in the future. There are many options when it comes to managing your billing, bookkeeping and general administration. You need to put in place systems that are appropriate for the type of business you are running and easy to use to the extent that it adds to the efficiency of your business. Most accountants will have preferred options for different types of business – and different levels of service related to each of these options. Some businesses like to do their own bookkeeping and just have the accountant check the figures. Others find it more efficient to fully outsource their bookkeeping, because it avoids mistakes and gives them more time to spend marketing and engaging in paid work. If you are in business with other people you will need a partnership or directors agreement that covers important topics areas of responsibility, decision making mechanisms and clear processes for entering and exiting the business. This needs to be drafted by a lawyer. New business owners who hesitate to spend money on legals, can find it far more expensive to sort things out when they try to dissolve or otherwise exit from a business situation that is no longer working or when illness forces someone to retire. Other legals that should be addressed are your engagement and payment terms. You need to spend time with someone experienced in dealing with collecting unpaid debts BEFORE you have any debt. From the start, you need to look at your possible earnings and budget for ongoing and capital costs. You need to know how much you need to earn to cover ongoing business expenses, how much you need to pay yourself for personal/family expenses and how much you need for capital equipment – both upfront and replacement. You need to distil this down into some simple numbers for your business plan – such as how many clients jobs you need to do per week (based on your average job size and mark-up) to cover your expenses and build up some back-up cash. Professional Indemnity and Public Liability are usually mandatory as part of being licenced. Your equipment also needs to be covered. And personal insurances also need to be reviewed and put in place to protect your income and your family should you be injured inside or outside the workplace. These all need to be part of the business budget. These are the things that need to be part of your initial planning. The right moves at the start will help you run a successful business for the long term. Next week: Drawing In New Business and Pushing the Button On Technology. For help setting up your plumbing or trades business, contact us today.